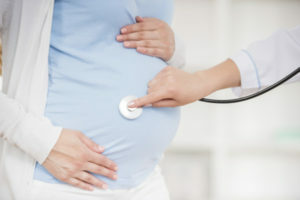 Throughout your pregnancy, your doctor should conduct a variety of screening and diagnostic tests to identify potential abnormalities, birth defects, and genetic conditions that may adversely affect your baby. Wrongful birth, also known as wrongful life, is a form of medical malpractice that occurs when a doctor fails to diagnose a child with a genetic condition in utero. Due to the extensive developments in modern medical technology, obstetricians have a host of highly sophisticated testing techniques at their disposal to aid in the detection of genetic disorders. It is your physician’s responsibility to deploy these assets in order to identify birth defects that may compromise your baby’s development and cause extreme pain and suffering for the rest of their life. Failure to conduct genetic testing and other forms of medical negligence involving birth defects may be grounds for a wrongful birth lawsuit. If a doctor failed to identify your child’s genetic condition during prenatal testing, robbing you of the choice to move forward with the pregnancy, you have legal remedies. In New Jersey, parents of wrongful birth victims can obtain damages for the exorbitant costs of lifelong care, as well as the terrible pain and suffering inflicted on you and your family. You do not need to bear the burden of caring for a child with a genetic disorder or birth defect alone. Our experienced NJ wrongful birth attorneys aggressively advocate for victims of negligent prenatal care throughout New Jersey and we are here for you. Simply call (866)-708-8617 or contact us online to arrange an absolutely free legal consultation. According to the United States Centers for Disease Control and Prevention, a child is born with a birth defect in America every 4 minutes, 30 seconds. This equates to 1 in every 33 babies born in the U.S., or approximately 120,000 babies per year. A birth defect is any structural change in a child’s body that is present at birth. Birth defects are highly variable, affecting organs like the heart or brain, as well as muscles and bones, and other body parts like the arms, legs, feet, and face. Depending on the specific condition, birth defects can range from mild to severe. Some can even lead to death at a young age. Currently, medical research has not determined the exact cause of birth defects. However, medical professionals have discovered that birth defects result from the interplay of a variety of factors. Genes, the environment, and the mother’s lifestyle are all thought to contribute to a fetus developing a birth defect. Some conditions may be entirely inherited, while others may be exacerbated by environmental influences. The important thing to note is that doctors can detect birth defects through prenatal screening in many cases. Recent advances in medicine mean doctors can conduct a variety of genetic testing to identify inherited genes and abnormalities that indicate birth defects. During prenatal screening, your doctor can use ultrasound and fetal image technology, as well as molecular genetics, to identify these disorders. In addition to high resolution ultrasound, your doctor may conduct chorionic villus sampling (CVS) to test a piece of the placenta for chromosomal or genetic disorders. Amniocentesis is another diagnostic method which involves testing a small amount of amniotic fluid. Amniocentesis can be used to identify certain birth defects, chromosomal disorders, and other genetic problems. If your baby was born with a birth defect and you believe medical malpractice may have been the cause, it is important to speak with a knowledgeable wrongful birth lawyer about your potential for legal action. Children with serious birth defects and genetic conditions often suffer incredible pain during their lifetimes, while parents are forced to cope with the astronomical costs of lifelong medical care. You and your child deserve justice and compensation if doctors should have diagnosed a birth defect or conducted genetic testing in the early stages of your pregnancy. Let us help. Contact us at (866)-708-8617 or send us an email to speak with a New Jersey wrongful birth attorney about your child’s specific case. With offices in Newark and New York City, we serve clients throughout New Jersey and New York.